LONGBOX* WARRANTY* LOW 94K MILES* 4WD* 1 OWNER* FACTORY TOWING PKG! Electronic Brake Force Distribution, Power 4-Wheel Disc Anti-Lock Brakes, Dual-Stage Driver & Front-Right Passenger Airbags, AM/FM Stereo w/Single Compact Disc Player, Auxiliary Power Outlets, Exterior Temperature & Compass Display, Tailgate Assist System, Cargo Box Light & Tie-Downs, Front Tow Hooks, Remote Keyless Entry Sylstem and the BEAUTY OF FOUR WHEEL DRIVE are waiting for you in this 2006 FORD F-150 FX4 CREW CAB! This FRESH NEW ARRIVAL has been thoroughly inspected and reconditioned so you can buy AND drive with TOTAL CONFIDENCE! 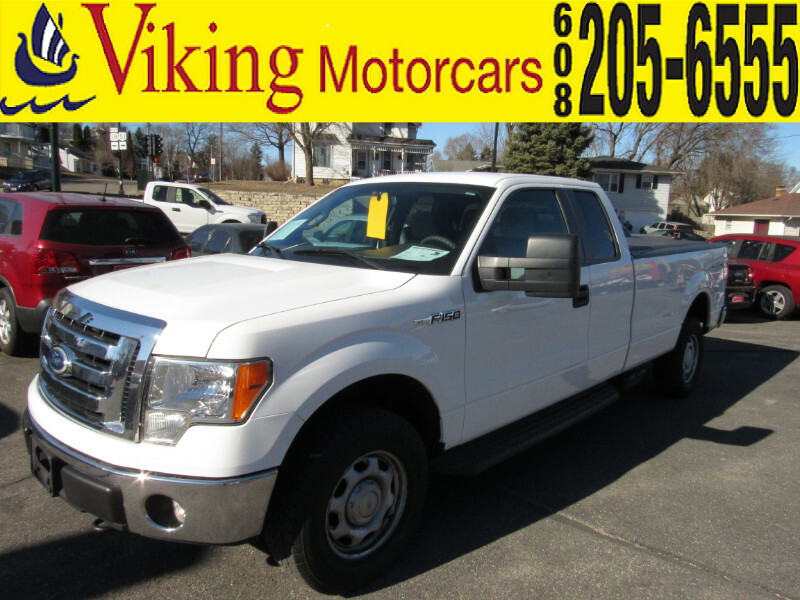 Most Viking Motorcars come with 3 months 3,000 miles limited powertrain warranty with owner's manual and FREE CARFAX REPORT! Our local credit union financing starts at 2.99% APR and you can apply on our secure website. We invite you to shop Viking Motorcars, your hometown dealer with smalltown prices WHERE WE ALWAYS TREAT YOU RIGHT! Located at the intersection of highways 51 and 138 south in HISTORIC downtown Stoughton.